Today, most buyers are not in a high state of urgency to buy given the long-term, high affordability of homes and interest rates… except when they have an urgent personal reason for moving, like relocating for work. All of real estate is hyperlocal, so it’s important to understand how motivated buyers are in your local market before you set your list price. 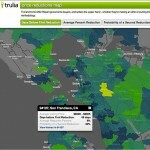 How likely a home is to have multiple price reductions. The higher numbers indicate a stronger buyer’s market, which gives more bargaining power to buyers. And if you’re the seller, the higher these numbers are for your area, the lower you may need to price your home to be successful at getting it sold. The Eastside zip code 98008 has the lowest number of days before a price reduction for all of Bellevue at 39, with the average reduction at 5%, and the odds of a second reduction at 30%. 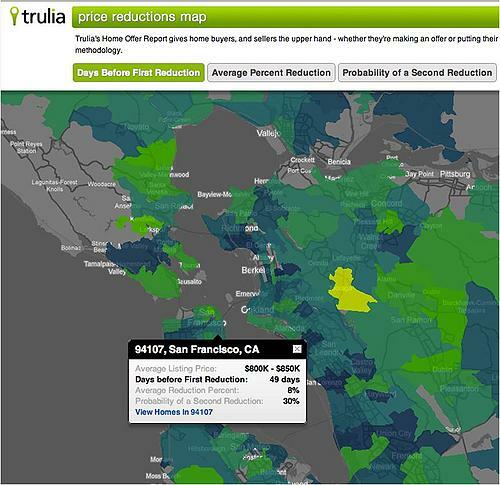 In other words, according to Trulia’s calculations, one out of three homes in this zip code will have more than one price reduction.